As a parent, I strive to serve my kids food that is not only packed with nutrition, but also full of flavor. I’ve done a good deal of traveling over the years and incorporate those experiences and flavors into the meals I make at home while also finding ways to remain budget friendly. I like to cook with whole, fresh ingredients whenever possible and although my kids are young, I try to challenge their developing palates with new flavors, ingredients, and textures. With a garden on our property, my kids can see firsthand how tiny seeds can can grow into food that will end up on our dinner plate. Even at the tender ages of two and four, my daughters have an understanding of the interconnectedness of life. Gardening with children is challenging and a true lesson in patience. In the last week, our table full of seedlings were knocked over while the kids were playing a game of tag, my oldest daughter brought dirt from our garden to her school (in her pocket nonetheless), and my youngest daughter ate some of the seeds we were planning to plant this Spring as an impromptu snack. It took me a while to accept the fact that I would not achieve horticultural perfection with this garden. When I finally decided that my goal was to make sure the kids had fun and enjoyed the process above all else, It also gave me permission to let go and simply focus on creating moments that the kids will remember forever. With that in mind, I wanted to make a soup to kick off spring that the kids would eat and would be hearty enough to feel like a meal. In order for the kids to eat it, I knew the consistency had to be smooth and creamy and for me to enjoy it, it had to have enough flavor and protein to keep me fueled for my long days and nights as a full time Firefighter. With the recipe below, I succeeded on both fronts. This soup is packed with flavor, rewards me with pieces of succulent turkey with each spoonful, and is easy to make. IT IS DELICIOUS. Deciding to cook a soup with turkey in the Spring initially seemed a bit out of season for me. From October to December, our home always has at least 2 turkeys in the freezer in preparation for the holidays. After January, eating turkey seemed like a forgone thought other than the occasional turkey sandwich I would eat for lunch. That’s one of the great things I recently discovered about Shady Brook Farms and Honeysuckle White turkey. It isa regional turkey brand available in wide variety of products, including ground turkey, turkey sausage, turkey breasts, and more – providing great versatility to enjoy turkey in all your favorite recipes. Heat 2 teaspoons of olive oil in a saucepan over medium-high heat. Butterfly the turkey breast Lightly season with salt, pepper, and cumin and cook for approximately 5 minutes on each side. Always cook turkey to an internal temperature of 165 degrees Fahrenheit. Shred turkey and set aside. Heat the remaining olive oil in a large saucepan. Dice the vegetables. Add the garlic, carrots, celery, squash and onion. Cook until veggies are soft and the onions are caramelized. Add remaining salt, cumin, red pepper, and black pepper to taste. In another pan, add lentils to 3 cups of boiling water. Cook until soft and drain (approximately 15 minutes). Place the vegetables, cooked lentils, and vegetable stock into a blender. Blend until smooth. Place soup back into a saucepan and bring to a boil. Remove from heat to and mix in turkey and cream. Garnish with lemon spritz and parsley. Serve immediately. Think you can do better than this? Or are you trying to simply recoup money from your busted bracket? Pull off your own upset this March and enter! You could win a $250 gift card! How awesome is that!? I would love to see one of my readers win this. #SouperiorDinner: (March 21-27) – Create a soup that’s not only delicious, but is considered a meal, in and of itself. 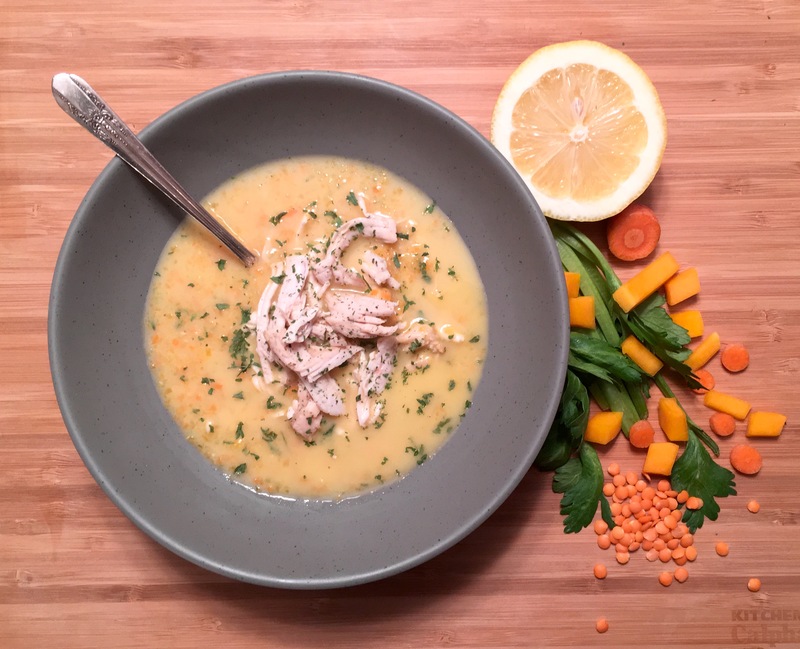 Using Turkey as the main protein, we want you to elevate soup from being a side thought to the main course of a meal. Create a soup that’s delicious enough to satisfy the most finicky of 3-year-olds, but also filling enough for any parent to walk away feeling healthy and full. Need more information? Visit http://TurkeyMadness.LifeOfDad.com.